Uyemura is a science company founded in 1848, with core competencies in the development, testing and manufacture of plating chemistries. We have often been characterized as disruptors – (long before that became a popular term!) Many Uyemura products have re-invented the solutions of the past, often quickly and dramatically, rendering traditional products obsolete, and establishing new benchmarks for performance, longevity and cost management. 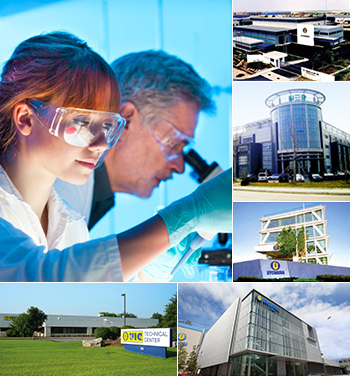 Uyemura was the first company in the plating industry to establish a research laboratory (today, we have 5 worldwide) as an institution for interdisciplinary surface treatment research. Our global R&D activities have generously rewarded the Uyemura brand with the confidence of leading OEMs in virtually every sector. Uyemura’s mission is the development of practical solutions to the competitive, operational and environmental challenges our customers face. Our greatest achievement is providing processes that result in significant and lasting competitive advantages for the valued customers we serve.